Friday was my last day at Peacemeal Farm. I started working there within two months of moving back to Maine, when I still believed that I wanted to “be a farmer”, and left less than a week before my first day as a high school English teacher. In total, I spent 21 months working there. 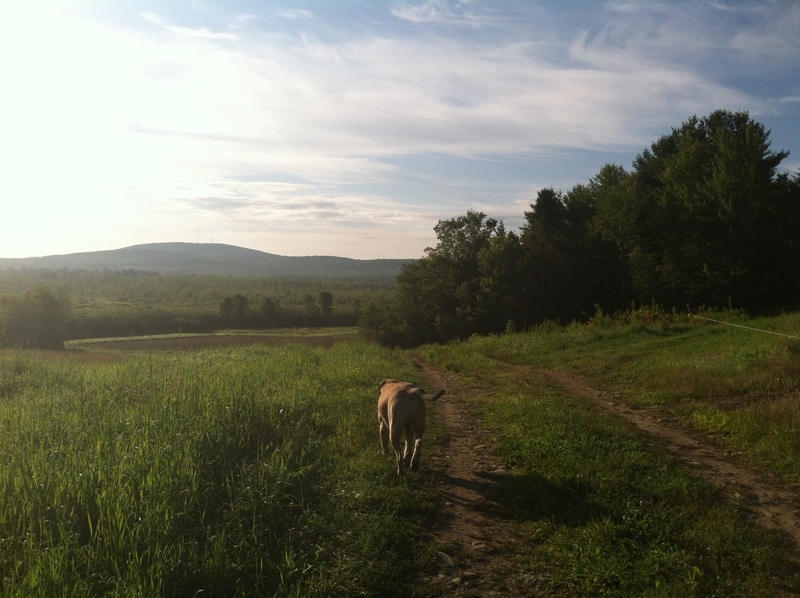 With the exception of Wyatt, all of the people I care about in Maine came into my life because of the farm. Three Ladies I couldn’t do without – Molly, Abby and Christa – and three farm crews, each containing a few true gems. Human Gems: Hailie, Debs, Dave, Pat, Farlin, Myer, Greta, Eliza, Mike, Lucas, Rick, Hannah, Pudge, Paige, Lauren. Animal gems: Clover, Ellie, Jasmine, the cats and the chickens. And the farm family, of course: Mark, Marcia, Camella and Anna. march is a straight up lion. I haven’t written since May. You all know that, of course – just look at the date of the last post. 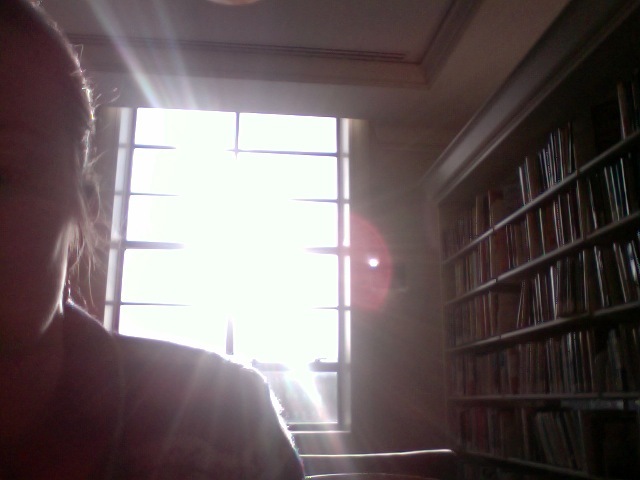 I’m sitting here at the Bangor Public Library – it’s quiet, i’m surrounded by books, the sun shines in the big old windows behind me and I have to type in my shadow. But I’m just not quite sure what to say. Out of desperation I began going through my old musings stowed away in various files on this laptop, knowing that I’ve started dozens of pieces and posts that died a quick death, thinking perhaps I could finish something I’d started. And I find this piece that I wrote, over a year ago, before poundsweet.com, before I moved to Maine, before I spent a season working on a farm. It seems I abandoned it, but re-reading it now, it’s better than anything I’ve got in my brain. And so I’ll post it, unedited, because it’s still true, and hope that it will inspire me to get crackin’. Last night, a fellow writer asked if I’d been doing much writing lately. I had to sheepishly reply that I’ve been doing essentially none. I’ve always maintained that for me, farm work and writing are the perfect combination, that they balance each other out, that each is better for the existence of other. I still believe in that balance, and yet the reality is that as soon as I started real farm work, writing fell by the wayside. A month ago I started working four days a week at Peacemeal Farm, an organic vegetable farm in Dixmont, Maine with 10 acres in cultivation. After years of dabbling in apple picking, carrot weeding and chicken slaughtering on the farms of various friends in the Hudson Valley, I have to say that it feels darn good to have my hands in the dirt full-time. (Or at least real world “forty hour work week” full-time) The trouble is that it was much easier to write as a farm dabbler than it is as a full-time farmhand. My writing has always been inspired by farms, farmers and food and I naively assumed that as my exposure to those things increased, so would my writing. And yet I’ve written nary a word in the past four weeks. 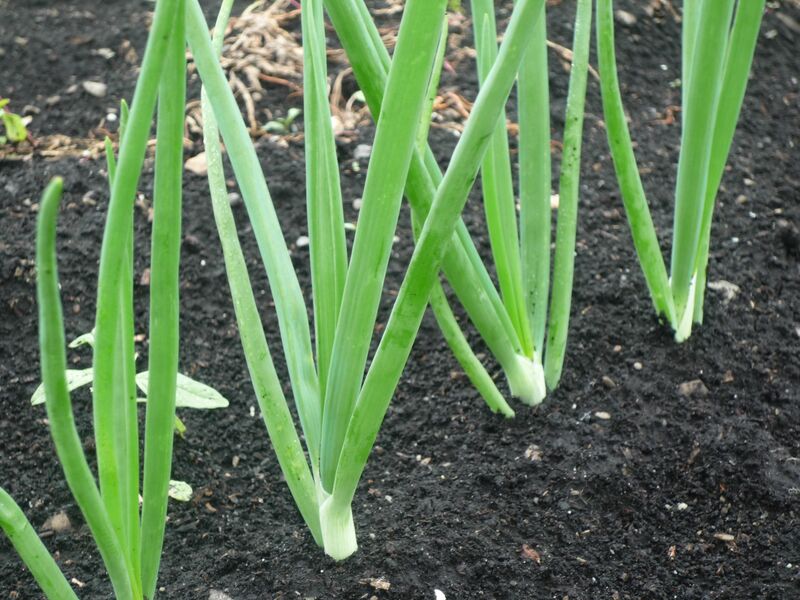 As I kneel by rows of carrots and beets, scuffle hoe the onions or pot in tomatoes in the greenhouse, my mind swirls with ideas and inspiration. I’ve become convinced that there’s no better place to think up story ideas than in a field of head lettuce or garlic, and for ten hours a day that’s what I do. And then I drive home, coated in dirt and sweat and sunscreen, crack a beer and start working on the house and before I know it I’m on my way to work the next day, another essay or book pitch pushed a bit further back in the overstuffed file folder that is my brain. I am in awe of farmers like my friend Shannon Hayes who just released her third book while still farming full-time at her family’s Sap Bush Hollow Farm. Honestly, I don’t know how she does it. I can only hope that one day I’ll figure out what it takes. For now, I’ll settle for a happily aching body, a well-fed belly and an inspired mind. I’ll admit it: I like sardines. 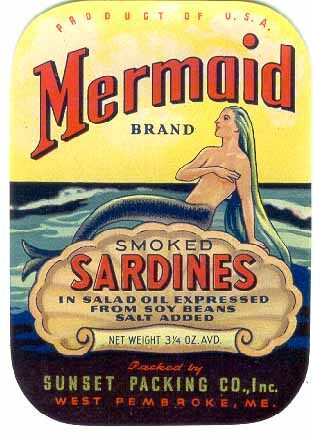 Yes, sardines – the oily little fish that come in a can. In fact, I bought some just last week. Wyatt’s response, “Are those sardines? Gross.” is fairly typical of the way people view sardines in this country. I, however, have a genuine fondness for the little guys, and it has nothing to do with the sweet graphics on the old tins. a chicken in every pie. I’ve always been fascinated by what we remember from childhood – which little snippets of life our brains hang onto for years and years. 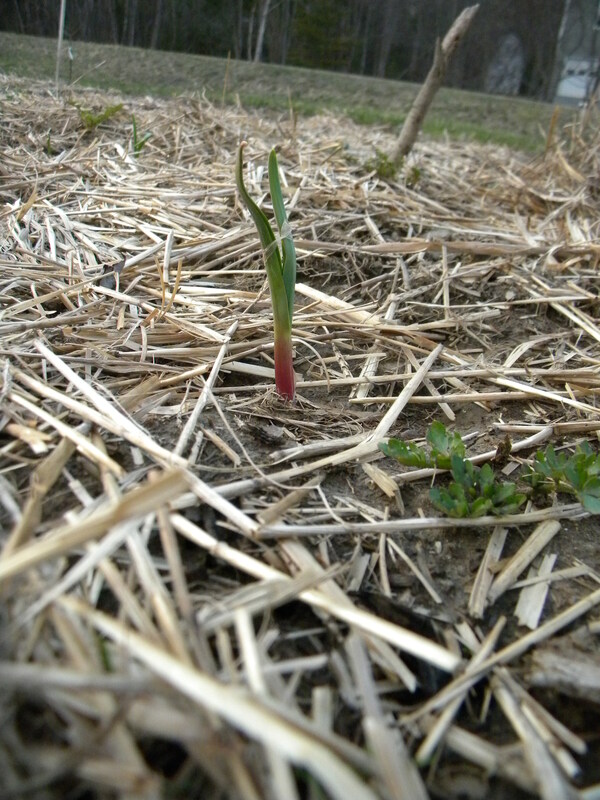 Often, they are small and seemingly insignificant. I don’t remember my first day of school, but I remember learning the “16 Counties” song in kindergarten. I don’t remember meeting my baby sister for the first time, but I remember being allowed to pick out a toy before we went to the hospital (a travel barbie with suitcase and pink blazer). I don’t remember much about the meals my family shared, but I remember, quite vividly, the chicken pies that my grandfather brought to camp throughout the summers of my childhood. 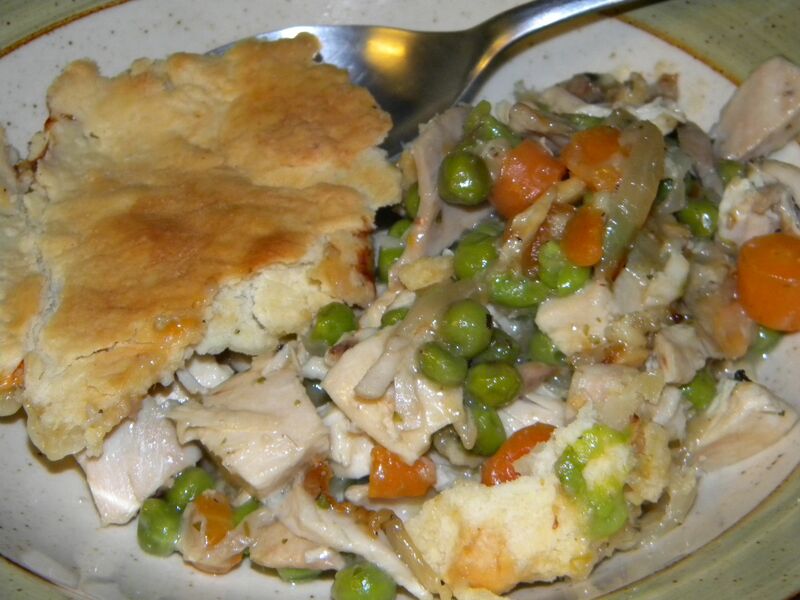 For non-Mainers, a “camp” is what you know as a “cottage”, or “lake house”, and a chicken pie is a chicken pot pie. My extended family shares a camp on Lake Wassokeag, in the small Maine town of Dexter where my mother and her three sisters grew up. I spent my summers on the shores of that lake – a hazy blur of swimming, catching crawfish, shucking corn, and shelling peas. We would have made and eaten countless meals at camp, but it’s the chicken pies that stand out in my mind with perfect clarity. Rich and delicious with a flaky crust, they, along with soft serve vanilla ice cream cones with chocolate jimmies, were the stuff my summers were made of.